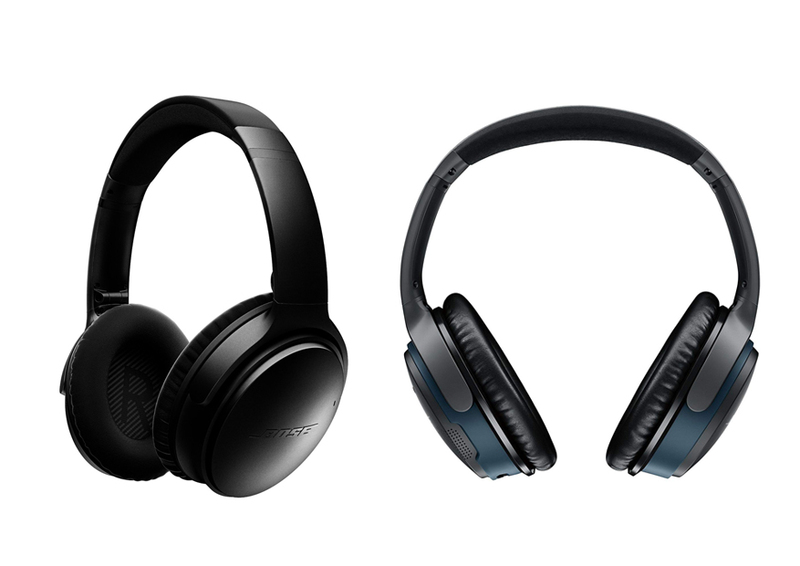 In this article, we will take a look at the comparison between two noise-canceling headsets from renowned companies: Sennheiser HD1 vs Bose QC35. These two models are available in a similar price range. In general, both have decent noise cancellation and sound quality. So, which one is actually better for you? Find out below! Let’s start from the looks and build quality of Sennheiser HD1 and Bose QC35. They look very different, even though they both are good-looking in their own ways. Both models also have good overall build quality. 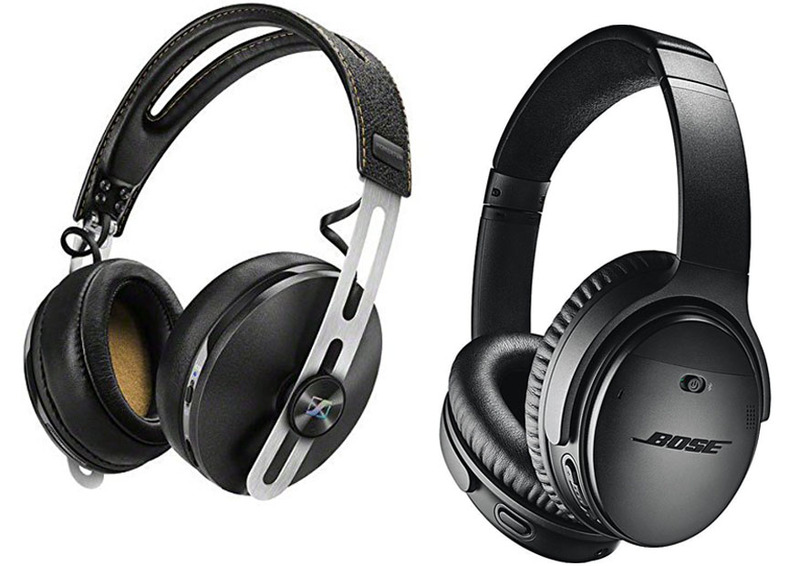 See also: Sennheiser PXC 550 vs Bose QC35. 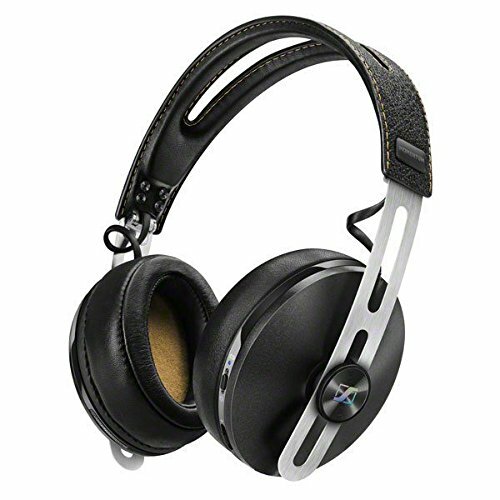 Sennheiser HD1 comes with a high-end and professional appearance. It has a stiff metallic headband which is covered with stitched leather and curved plastic ear cups. Behind each ear cup, you can find a burnished Sennheiser logo. The ear cups are also quite solid and durable. On the right ear cup of Sennheiser HD1, you can find two buttons. One is for the power and Bluetooth, whereas the other is for playing/pausing music, controlling the volume, and answering a call. This control scheme is surprisingly very easy and intuitive to use. In addition, the headset is foldable to allow easy storage and transport. Sennheiser HD1 vs Bose QC35 also has a USB charging port and an inlaid 3.5mm plug. Bose QC35 offers a modern and elegant look. Well, you can say that it looks plain and simple, as it is entirely matte plastic. But the good thing of this design is that it can be versatile enough to suit a wide range of styles. It can suit you well, regardless of whether you are a student, a financial consultant, or even a ballerina. There are two color options on Bose QC35, which are black and silver gray. The overall build quality is good. The frame is solid and sturdy. Although it is made from plastic, it does not feel cheap at all. 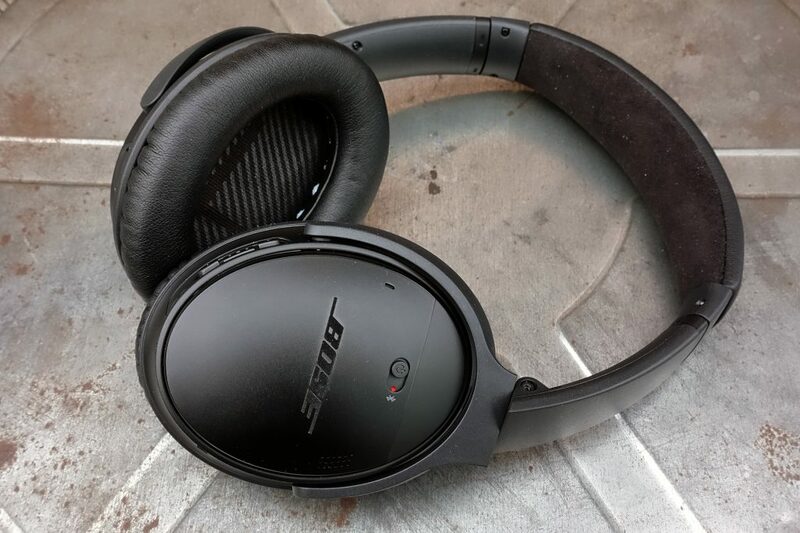 Bose QC35 is also foldable into a flat form.It has a few buttons on the right ear cup for pairing, playback, and volume control, as well as a single smart button on the left ear cup for interacting with Google Assistant. Sennheiser HD1 is fairly comfortable for a closed-back headset. Perhaps the only real issue for comfort is the headband. The headband is covered in stitched leather, which definitely looks really cool, but it is not very comfortable. After two or three hours of continuous usage, you will start feeling the pressure on the top of your head. The ear cups are properly padded. They are also covered in leather. They feel soft and comfy. Unlike synthetic materials, leather does not become too hot over an extended wearing session. As the effect, you will be able to wear Sennheiser HD1 for a longer time without any heat issue. Bose QC35 is quite more comfortable. It has a padded headband, which feels really nice. It does not cause any serious pressure on the top of your head, even after several hours. The wide ear cups are also soft and comfy. However, they can be pretty hot if worn continuously for several hours, so you will want to take it off every once in a while. Before we proceed further, let’s take a look at the included accessories of Sennheiser HD1 vs Bose QC35. Some of the items may be very handy and useful, hence increasing the overall value of the headset. Most of their accessories are similar, except for the airplane adaptor. Sennheiser HD1 comes with the USB charging cable, a detachable 3.5mm audio cable, and a carrying case. The included audio cable will allow you to use the headset without consuming its battery. Unfortunately, it does not come with any airplane adaptor. So, if you want to use the headset in your flights, you may need to buy the adaptor separately. Meanwhile, the included carrying case is semi-rigid, and is able to protect the headset from scratches and impacts quite well. Bose QC35 comes with the USB charging cable, a detachable 3.5mm audio cable, an in-flight adaptor, and a carrying case. Just like Sennheiser HD1, Bose QC35 can be used with the audio cable even when the battery is dead. The adaptor is definitely very useful for people who want to wear the headset in airplanes. The included carrying-case is slim, compact, and solid. It is able to protect the headset from scratches and impacts quite well. So, how is the noise cancellation of Sennheiser HD1 vs Bose QC35? Well, in general, both headsets have very good performance. However, Bose QC35 is better because it can attenuate loud sounds very well. Sennheiser HD1 does not have any button to control the active noise cancellation (ANC). The Sennheiser Cap Tune mobile app, which is used for adjusting the equalizer, also lacks the option for turning the ANC on and off. So, the ANC is always on, except when the battery is dead and you are listening via the audio cable. The noise cancellation performance of Sennheiser HD1 is fairly good. It can attenuate almost all of the background noise. It is able to deal with conversational banters and distant traffic noise which you typically find in an office setting. However, it still lets some sounds to come in, especially loud and high-pitched sounds. Perhaps the positive side of Sennheiser HD1’s mild noise cancellation is that it will not make you feel dizzy. Sometimes, an intensive noise cancellation which blocks all sounds may cause slight dizziness or disorientation. This is especially true when you are moving. Bose QC35, on the other hand, has a more powerful ANC. And it is adjustable. It has three settings which you can access through the mobile app; you can toggle the ANC to be high, low, or off. In other words, you can just turn the noise cancellation off when not needed. So, this headset can be more reliable and versatile. The high ANC setting is useful when you want to block all outside noises and focus with whatever that you are doing. This is great for studying and working in front of a computer. However, it may cause some dizziness or nausea if used while your body is moving. The low ANC setting will attenuate most sounds while still allowing some sounds to come in, such as flight announcements and vehicle honks. Sennheiser HD1 is definitely the winner as far as the sound quality is concerned. This is an impressive pair of Bluetooth headphones. The overall sound profile is quite balanced, but with rich detail and dynamics. The low-end is nice and thick. There seems to be a presence boost around 80Hz. As the effect, the bass lines often sound solid and powerful, yet without muddling the mids and highs. Meanwhile, the midrange is mostly flat, but there is a slight presence boost around 2kHz which helps to make vocals stand out in the mix. The treble is crisp and articulate. It provides a sense of depth which makes the overall performance immersive and lively. The headset has good audio separation so that you can easily distinguish different instruments in the music. Of course, one reason behind the impressive sound quality is the aptX technology. This codec is used by most Android devices to deliver high-quality music over Bluetooth. iOS devices, unfortunately, don’t support this codec, although macOS already supports it. Bose QC35 does have impressive noise cancellation, but its sound quality is not as good. In terms of sound quality, it is more of a basic wireless headset. It has a somewhat compressed sound. The midrange is crowded, though the lows and highs are quite accentuated. The soundstage is narrow. If you are looking for rich detail and dynamism, this headset won’t satisfy you. Bose QC35 supports Bluetooth 4.1, but it does not support the aptX technology. Sennheiser HD1 is able to last for about 22 hours per charge. This is good. If you only wear the headset for three or four hours a day, it will be able to last for about 5 – 6 days before you need to recharge it. Bose QC35 has a slightly shorter battery life. It can last for about 20 hours per charge. This is also fairly good. If you wear the headset for three or four hours a day, it will remain usable for 4 – 5 days before it needs to be recharged. In general, between these two headsets, Sennheiser HD1 is more recommended. It has a pretty good ANC which can attenuate most conversation noise and traffic noise. It has a better sound quality, and it will sound especially great with an Android device, thanks to the aptX technology. It also has a slightly longer battery life.